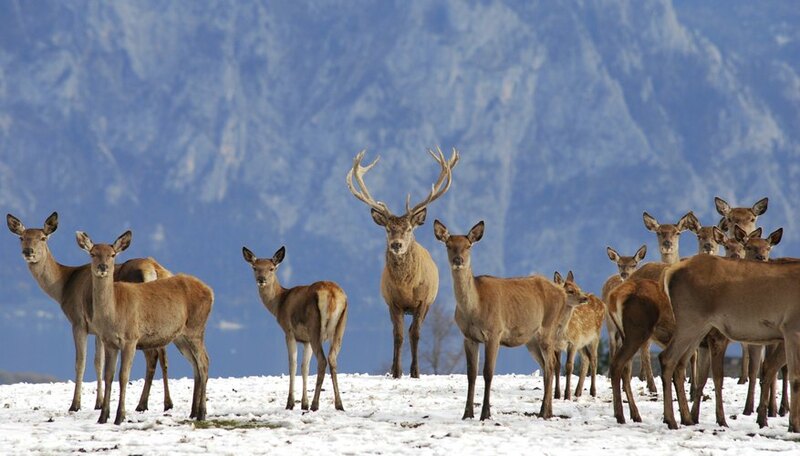 Deer live on all continents of the world, except Antarctica and Australia. There are many different species, from moose, elk and reindeer to red, roe, coues and fallow deer. The deer birth process follows that of most mammals. The young develop in the womb rather than in eggs and suckle milk from their mothers when young. 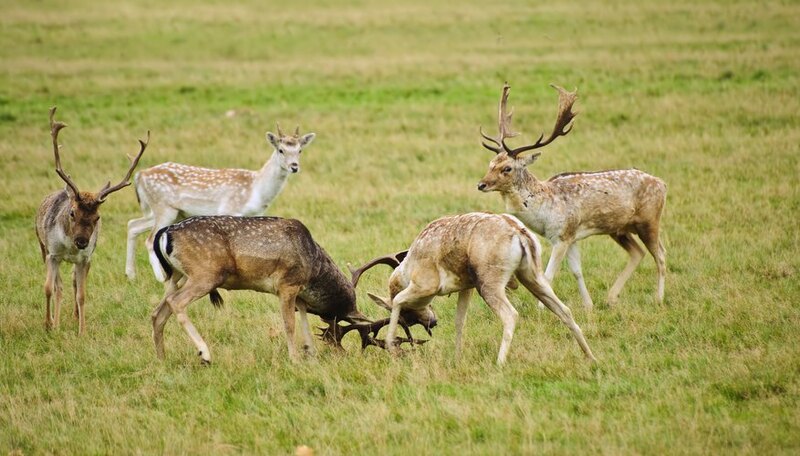 Males will spar with each other during the rutting season, usually in the summer months. They will use their antlers to test each other's strength, fighting for dominance of the herd and, thus, mating rights over the females. 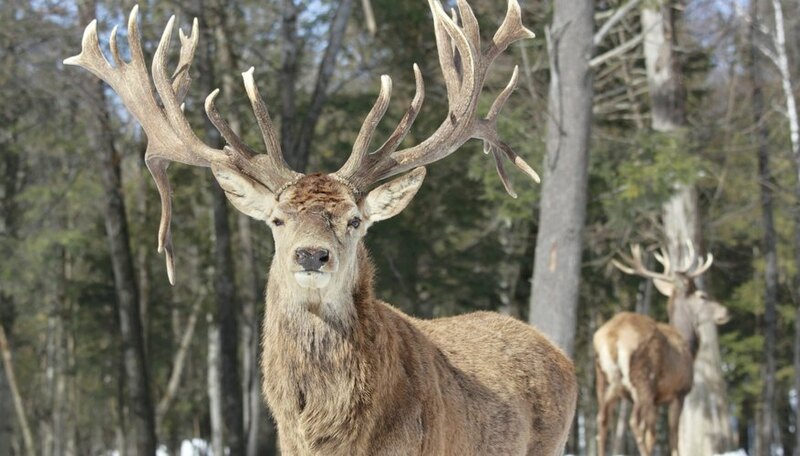 They lose the antler after each rutting season, growing a new pair each year. The dominant male will continually search, often going without food for days at a time, among the females for those that are in season and ready to mate, as females only achieve this state for between two and three days. 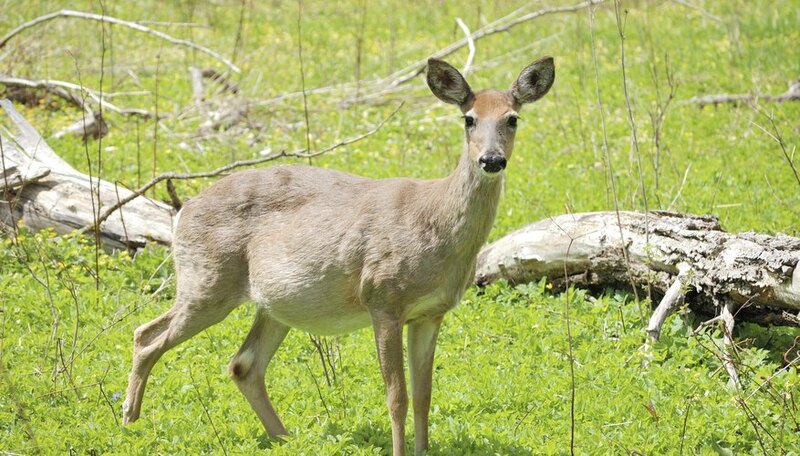 Gestation times vary between species but the deer gestation period is, on average, about 10 months. During this period the female will not be receptive to mating with the dominant male. The fawn will develop fur in the womb and at the end of the gestation period both its head and front legs will be facing the rear of the womb in preparation for birth. Female deer generally give birth away from the herd. They will select an area of dense vegetation so that the fawn is hidden from predators. The mother will lick the fawn clean of birth fluid that serves to disguise its scent, which is another protective measure. The mother will urge the fawn to its feet; a newborn can stand within 20 minutes of birth. 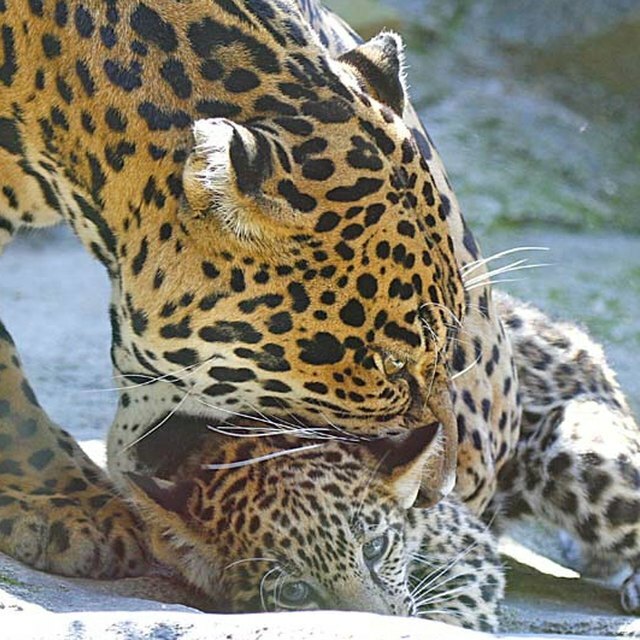 However, for the first week of its life it will be left hidden in vegetation while its mother feeds it; the female returns regularly to suckle the fawn. After a week or so, when it is strong enough, the fawn will join the herd. Females occasionally have twins, and a deer giving birth to triplets is not unheard of, but a single fawn is more likely. 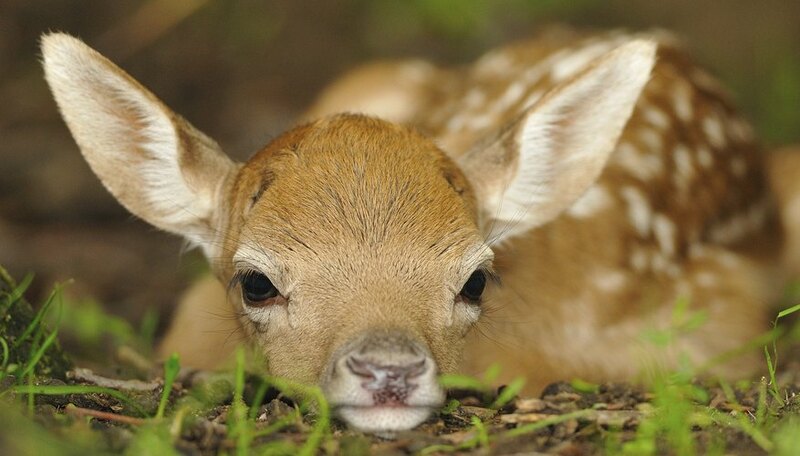 The fawn is born with its fur speckled with white spots. This helps camouflage them in the vegetation. They will keep these spots for a year or so, except the fallow deer that keep theirs throughout their life. The fawn will stay with its mother for approximately one year, suckling for three to four months. 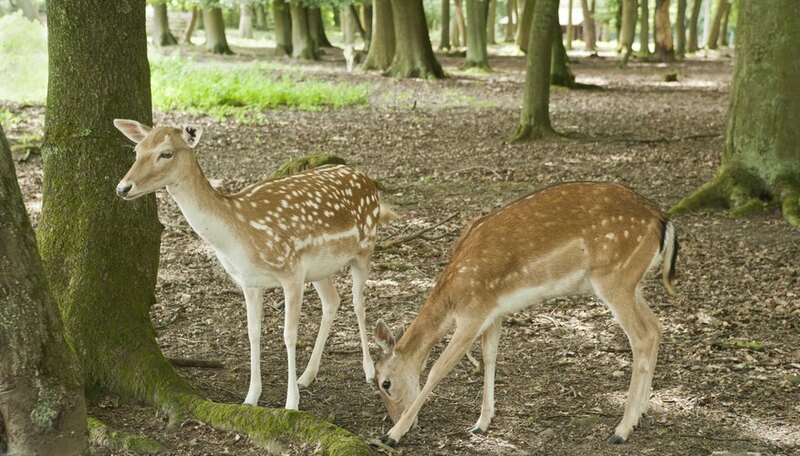 The female will break the maternal bond by driving the juvenile off just prior to giving birth to the next year's fawn. Females will usually live their entire lives in the same herd, mating with the dominant male each year. However, sometimes the herd may be broken up during fights between rival males. Young males will often stay with the herd and challenge the dominant male for breeding rights. Sometimes males will leave the herd and look for another male to challenge. 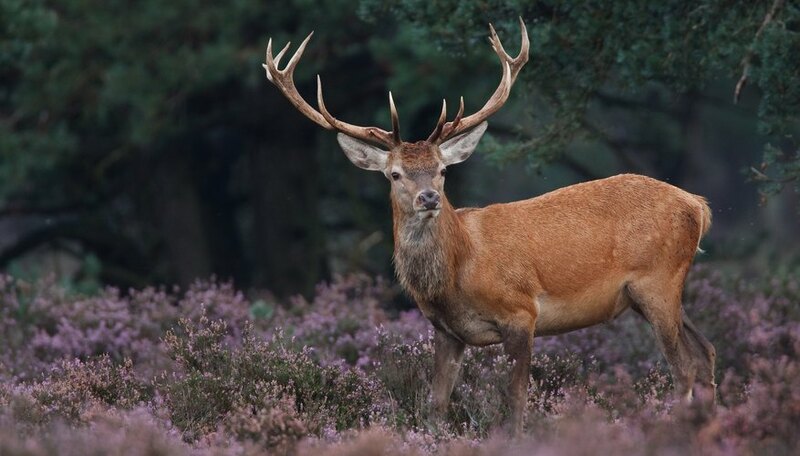 In the wild deer can live up to 20 years. However, few will reach that age as older animals invariably fall prey to predators and succumb to sickness. Many fawns will also be killed by predators and hunters. In captivity deer have been known to reach 30 years of age. Quality Deer Management Association: How common are triplet fawns? Huds, Dirk. "Life Cycle of a Deer." Sciencing, https://sciencing.com/life-cycle-deer-6634342.html. 06 August 2018.